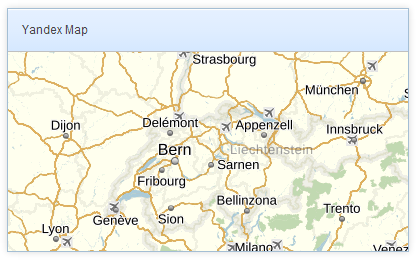 UI-related maps inherit from view. by directly including all the source files of the component on a page. In this case you should set the cdn property to false to avoid possible collisions with the component version included by default. Thirdly, create a map and assign properties to it according to your needs. All map constructors identical differing only in the map view name. view:"yandex-map", // or "here-map", "open-map"
center - array - sets the center of the map. It's an array of two elements ( latitude and longitude) with comma delimiter. The method can take the waitMap parameter. If passed, the method returns a promise which will be resolved when the map is rendered. 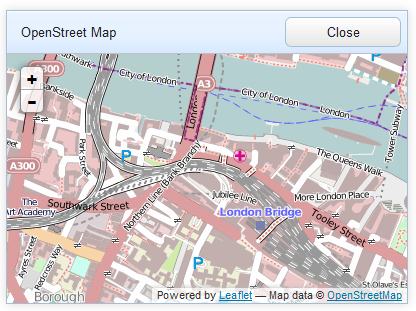 The API for each integrated map offers a rich collection of map options, controls, overlays, services, layers, etc. 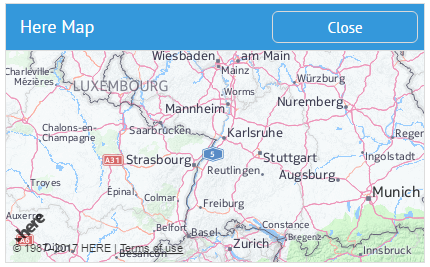 that you can use while working with a map instance integrated into our library. Note that you need to check the API of each integrated map to learn its methods, properties and events.